On the first day of winter was held the first Moldovan Freediving Championship “Breath of air, or how much or how much could you stay under water?” organized by the Sporter.md sportive social network, Federation of Underwater Activities of Moldova and Niagara fitness club. 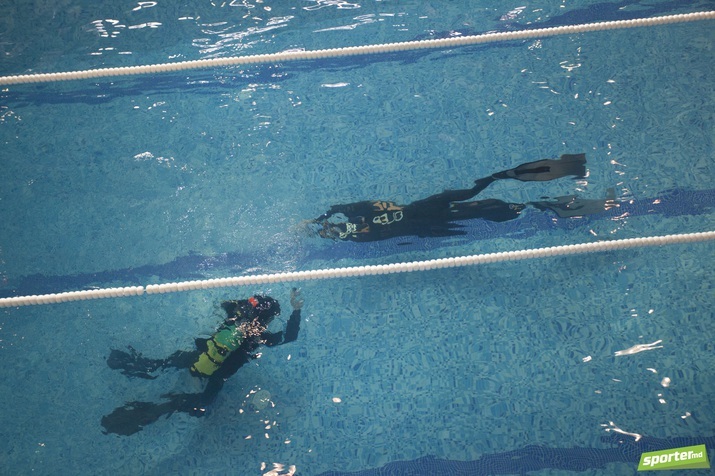 Competitions were held in two disciplines: static and dynamic apnea. Dynamic Apnea – discipline of underwater sports, aimed at overcoming distances in apnea. Static apnea – discipline of underwater sports, aimed at maximum breath-holding time. Absolute champion was Dmitrii Volosin, who won the first place in both disciplines: 5 minutes 29 seconds in statics and 110.5 meters in dynamics. 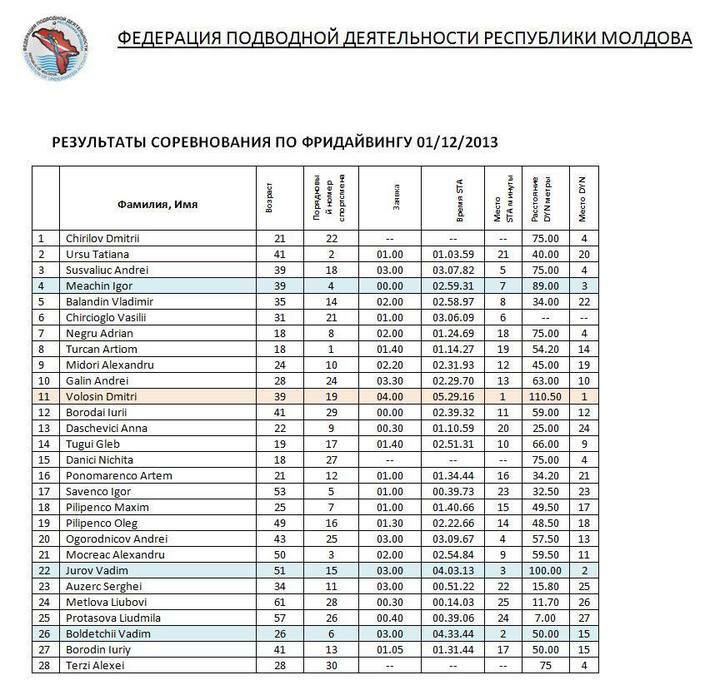 Among women in the static the best result showed Anna Daschevici – 1 minute 11 seconds, and Tatiana Ursu – 40 meters in the dynamics. 1. Volosin Dmitrii– 5 minutes 29 sec. 2. Boldetchii Vadim – 4 minutes 34 sec. 3. Jurov Vadim – 4 minutes 03 sec. Winners received gifts from X-Style and Invito stores, as well as from Federation of Underwater Activities of Moldova. Wait, hold your breath for a moment! Follow the latest news about freediving and do not miss any important events in Moldova! Prepare a wetsuit, fins and be with us always and everywhere!